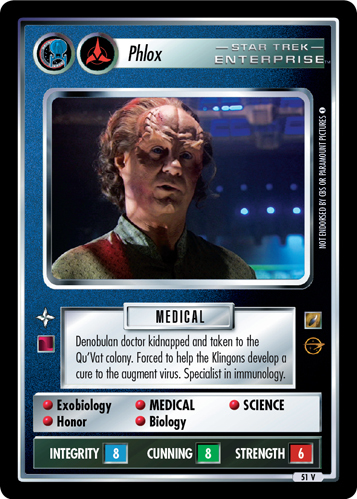 Denobulan doctor kidnapped and taken to the Qu'Vat colony. Forced to help the Klingons develop a cure to the augment virus. Specialist in immunology. Characteristics: affiliation, affilition, 22nd Century , Doctor, Denobulan species, romantic partner.